“Computers are incredibly fast, accurate and stupid; humans are incredibly slow, inaccurate and brilliant; together they are powerful beyond imagination.” That little piece of wisdom came from none other than Albert Einstein himself… back when computers were brand new. Even Einstein would probably be surprised to see just how far computers have taken us in terms of wagering on sports. To say that they have revolutionized the industry seems like too much of an understatement. Today’s sports bettor now has more options for wagering that ever before. The new mobile devices now allow him to place his bets from anywhere that he can pick up the Internet and any time of the day or night. Simply put, the access available to wagering on sports these days has changed the way even ‘old time’ bookies do business. 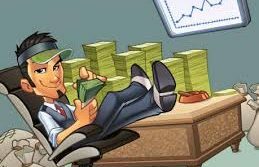 To begin with, with so much going on in the world of sports, considering that we are talking about action from all over the world, a local bookie could simply not keep up with all of it without the help of the Internet and a good price per head service company. The geographical center for sports wagering in the 21st century is located in Costa Rica. Wagering on Sports is legal and licensed in Costa Rica and always has been. Players visiting this tropical paradise will find land based Casinos in almost every major hotel in the country. The principal advantage of working out of Costa Rica is that, when your players phone in their wagers to a call center located there, the call will be registered in a jurisdiction where the wager is made legally…not in your back room. Companies involved in the business of providing services to professional bookmakers are known as price per head service companies and the best ones are located down in Costa Rica. The best of these companies will have invested in redundant back-up systems to ensure that their service does not have downtime when the going gets tough on a busy NFL & College Football weekend. Players can now access not only the wagering page via the Internet but also check current balances, available balances as well as their history going back at least six weeks. 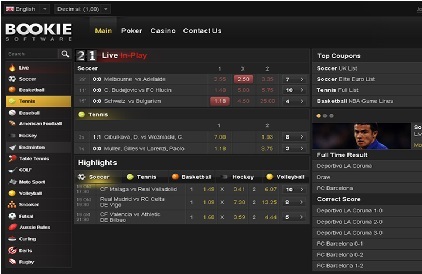 Players can also logon to check up on the latest results and well as the latest lines for upcoming contests. Modern bookmakers will soon find that their overall volume as well as their overall profits will gradually increase as their players ‘bet on the net’.